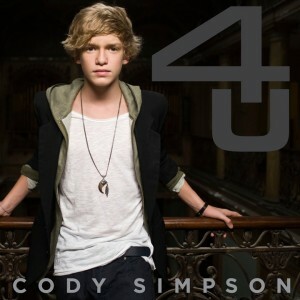 Seems like the kids just can’t get enough of Gold Coast tween up and comer Cody Simpson, with his brand new single ‘4U’ – released on Tuesday – already seeing some action on the all-important iTunes chart. The track is the singer’s third single through Warner Music and follows up his smash hit ‘Iyiyi’ and second single ‘Summertime’. The digital single also comes resplendent with two version of ‘Iyiyi’, along with a couple of b-sides, so you know it’s pretty good value. Look for the debut album to surface sometime in the first half of 2011.